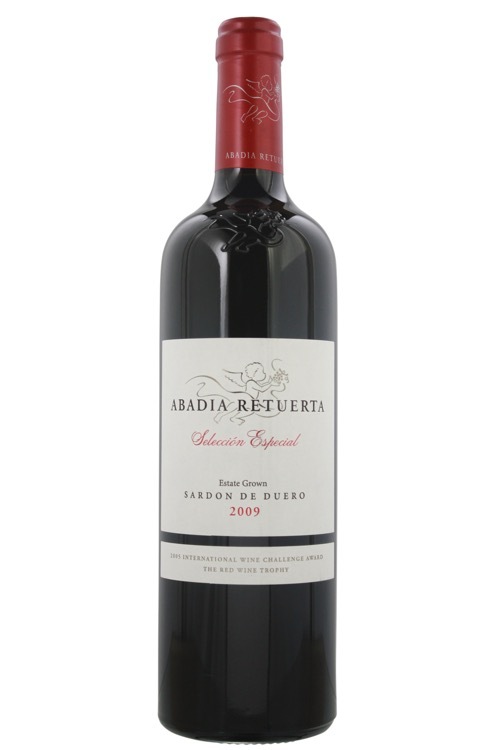 Sard'n del Duero is just outside Ribera del Duero, where Abadia Retuerta's wines share the same power and ripeness of the neighboring appellation. This wine's notes of figs and chestnuts merge with flavors of blackberries in liqueur. The powerful tannic structure carries that formidable weight like the pillars of a bridge. Coined by Jancis Robinson as "Spain’s answer to Cabernet Sauvignon," its style varies significantly depending on terroir and the wine-making techniques used. Cooler regions and stainless steel fermentation tend to produce Tempranillos with fresh strawberry and cherry like fruit, similar in body to Pinot Noir. Examples from hotter, more arid regions that undergo extended oak aging often produce richer, plumper, jammier wines, typically exhibiting chocolate, tobacco, and leather notes. Tempranillo provides the backbone of the highly regarded wines of Rioja, Toro and Ribera del Duero. In Rioja particularly, it is typically blended with Garnacha (Grenache), Mazuelo (Carignan) and Graciano. In La Mancha and Navarra, it is commonly blended with Cabernet Sauvignon and Merlot to produce inexpensive, great-value wines. One of the few places Tempranillo has spread to is Spain’s neighbour, Portugal. Grown mainly in the Douro valley since the mid 19th century, where they call it Tinta Roriz, it is used as one of the key blending agents in port. Lately it has been used in the region's intensely rich, dry, table wines.